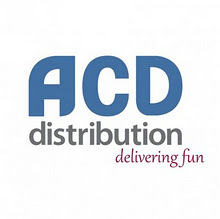 ACD Distribution is supplier of board games, role playing games, dice, cards, fantasy and science fiction miniatures, historical board games and miniatures, modeling tools, and card storage supplies from over 300 of the industry’s top manufacturers. To whom may concern, I would like to know which are the minimum quantities that you are able to sell to small re sellers I have an eBay shop and also I am developing a web portal for selling board games role games and video games. Please let me know what is the path to follow to be able to work with you.